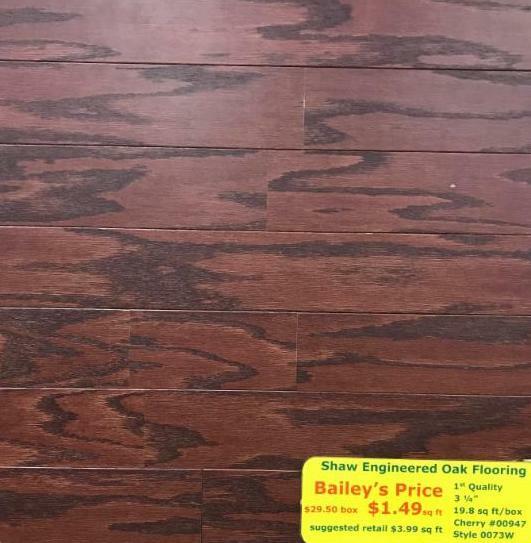 This Shaw Engineered Oak Hardwood flooring is a stunning floor that delivers sophistication and performance. This rich, deep cherry finish will warm your home and look great in any room. 1st quality. 3 1/4"